Available from the Fire Protection Shop are a range of intumescent putty, filler, mastic and fireproof foam. The intumescent products are available in a range of containers, tubes and also colours. 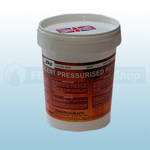 The intumescent putty can be bought in 310ml, 1kg, 2.5kg and 5kg. 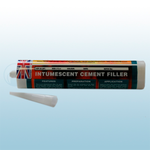 The intumescent filler is available in 250ml and 1ltr and the intumescent acrylic and acoustic mastic is available in 310ml but in brown, white and grey. 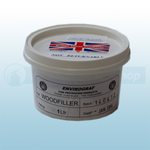 The cement filler is available in natural buff and in 310ml. 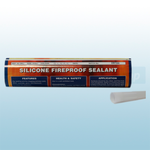 The silicone sealant is available in 310ml and in clear, black, grey and white. The acrylic thixotropic adhesive is available in 310ml, 1/2 litre, 1 litre, 2 1/2 litre and 5 litre. 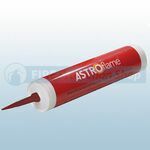 You can also purchase the buildfix multi-purpose flexible building adhesive, Fireproof PVE/A foam aerosol can with application tube and expanding fireproof foam. 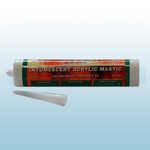 The intumescent acoustic mastic is available in white, grey and brown.